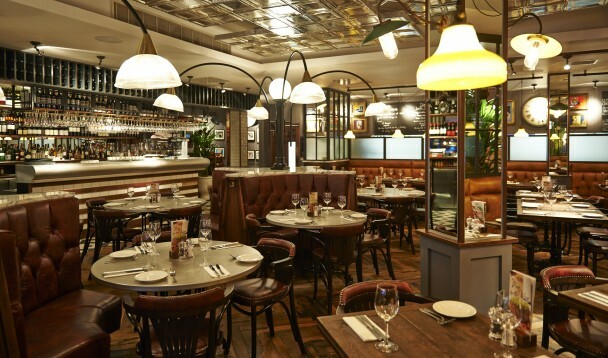 I recently had the pleasure of taking the family for a meal at Le Bistrot Pierre. We attended at 5.30pm and a few couples arrived at the same time. We were taken to our seats and given menus for us as well as menus for the children. I am always impressed when restaurants cater specially for children too. They also brought over some colouring pencils to keep them occupied before food. As I looked around I noticed the room oozed class and sophistication. The kitchen is in view so you can see the chefs busy at work. French music was playing in the background and lights were dimly lit. I especially liked the light fittings from the ceiling that cleverly had four arms spreading over four tables. All tables were separated off by small partitions so diners are given their personal space too. There were coat hangers around the partitions too which I’ve not noticed in restaurants before. The staff played a massive part in the evening. From the moment we sat down the service was impeccable. They recommended food as I couldn’t decide and they were extremely accommodating with my children. I ordered the red house wine and was pleasantly surprised. It was the exact temperature for red wine and tasted amazing. The French are well known for their love of wine and I believe one of the owners is a wine connoisseur so takes great pride in what wine is served. My children got stuck into the complimentary bread which tasted delicious and polished the lot off. Whilst waiting for our main course my daughter needed a trip to the toilets. All toilets are separate which is great for privacy but what struck me more was how clean and spacious they were. I would say they were the cleanest and best decorated toilets I have seen in a long time. I’m not sure if it was because it was early evening but the customers were couples young and old and a few families. There were no loud groups or party goers, just people who loved food. It was such a warm atmosphere it made me feel at home. Our main courses arrived and we were not disappointed. I had steak, my Husband ordered fish, the children had pasta and omelette. I should have stopped telling my children how good my steak was because they then asked if they could try it again and again. My Husband was so impressed he went through a menu on our table. They hold various set meal days with 5/6 courses during the month so we will be back to try one very soon. They are really well priced too so watch out for them or check out their website for more information. We all really enjoyed our food. I had no room left for dessert by my Husband and son went for the chocolate pudding. 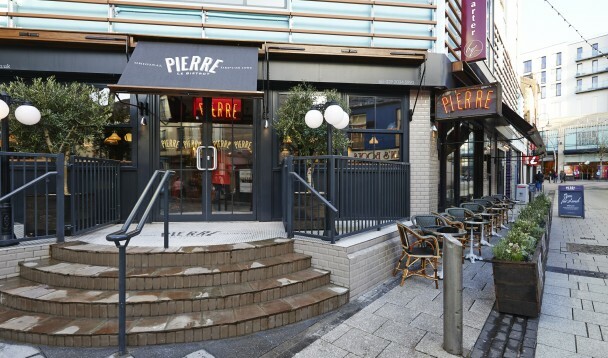 Le Bistrot Pierre is a little bit of Paris in the heart of Cardiff with fantastic food. I will be back very soon! We have a great competition on our Facebook page where you can grab a meal for two with a bottle of wine! Just click on: www.facebook.com/Cardifftimes like our page, keep your eyes peeled and your hungry tummies rumbly!